Singleness can often be a source of blessing and a source of pain rolled into one. It is also hard not to feel it is just a transitional stage. We can feel afraid and panicked about singleness, but our reading from this psalm reminds us to turn to God, bring him our fears, and ‘trust in the Lord’ (Psalm 37:3). Faith is trust. It is the opposite of fear and panic. Knowing that we always have someone we can turn to in our decision-making is so helpful: ‘Commit your way to the Lord’ (Psalm 37:5). This is the key to guidance. Bring the decision to God, ask him to act and trust in him. Trusting God in our decisions is a simple three-part process. First, committing the decision to God in prayer, asking him to open the doors that are right for you, and to close the ones that are not right. Second, trusting that he is in control. Third, watching in faith for him to act as you continue on your ‘way’, in the expectation that he will. In the book of Hosea, we see that God also longs for you to be living in a relationship with him, as close as that of a husband and a wife. He says, ‘I am now going to allure her’ (Hosea 2:14a). He takes her into a desert (this is so often the place where God’s voice is heard) and speaks tenderly. ‘“In that day,” declares the Lord, “you will call me ‘my husband’... I will betroth you to me for ever”’ (2:16,19). This foreshadows the relationship of Jesus to his church. God promises a new love relationship between him and his people (Hosea 2:19–20). They will know (acknowledge) the Lord. Whether single or not, this relationship with God is the most profound relationship we can ever hope to kindle, maintain and fuel. In the reading from Matthew’s Gospel, Jesus directly speaks of three types of singleness. First, genetic – ‘they were born that way’ (Matthew 19:12a) and ‘never give marriage a thought’ (MSG). Second, there is involuntary singleness (19:12b) – those who ‘never get asked or accepted’ (MSG). 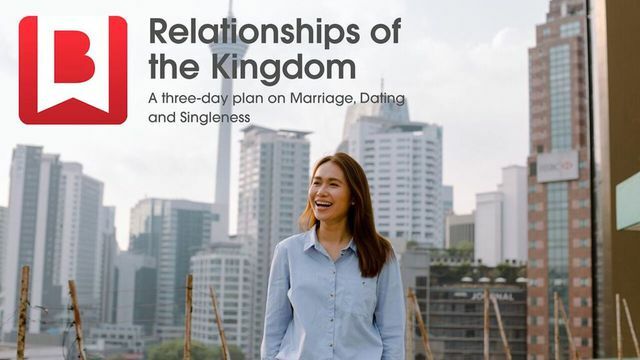 Third, there is voluntary singleness – those who ‘decide not to get married for kingdom reasons’ (19:12, MSG). Singleness can be temporary or permanent, but it is never regarded in the New Testament as second best. Both marriage and singleness are high callings and, according to the New Testament, there are advantages and disadvantages to both. As we read these passages today, may we know God’s pursuit of our affections and be filled with his everlasting, loving Spirit, which makes this relationship possible through Jesus.